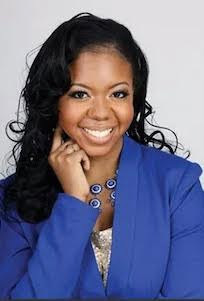 Charlene Rhinehart, After making history as the first CPA to win the title of Ms.Corporate America, Charlene created the Career Goddess Academy – a site dedicated to helping women accelerate their career ambitions. She is also the Managing Director of CEO Unlimited LLC where she provides professional branding and commercial writing services. Charlene Rhinehart: A new business owner, I spent the majority of my time developing a social media strategy, creating content in well-established online publications such as the Huffington Post, and developing free downloadable resources for my target audience so that they could get a sample of my work. Since my background is in Accounting &amp; Finance, this new path came with a steep learning curve and limited time for me to perform my offerings in the marketplace. I also had to quickly expand my network to go beyond my Accounting &amp; Finance peers if I wanted to achieve success as a career strategist, speaker, and writer. CR: I started my career in Financial Services as a Certified Public Accountant and had the opportunity to take part in the recruiting process for my company. My experience seeking to recruit top talent was eye opening: communication skills revealed lacked of confidence in workplace competencies, some resumes did not focus on individual accomplishments and skills needed to advance in finance, and there were a limited number of individuals pursuing and passing certification exams that would make them stand out in their industry. This prompted me to become actively involved in the National Association of Black Accountants Chicago Chapter as the Director of Professional Development and take on Club, Area, and Division Leadership roles in Toastmasters International so that I could have the skills needed to develop programs for those seeking to create endless opportunities in their professional lives. CR: I had to learn how to say “no” to the things that were not in alignment with my current mission and purpose so that I could say “yes” to the beautiful surprises that were unfolding on my new path as an entrepreneur. That was tough but it allowed me to be more intentional with my time. Although I may find myself working at 3AM to rewrite a resume or LinkedIn profile for a client or using weekends to develop content for the week ahead, I reward myself through frequent travel opportunities or schedule “me time” so that I can reflect and recharge. Self-care is a priority in my life because it is only when I am at my best that I can be fulfilled and give to others in my personal and professional life. CR: My mom is my real life model of a “superwoman” who has shown me that anything is possible. I am also grateful for the mentors at DePaul University, role models at Illinois CPA Society & amp; NABA, and dream team at Toastmasters International who all gave me a vision of success that inspired me to climb higher. BN:What are your "must-haves"to keep your career or business going strong? CR: A BOSS is someone who continuously expands the boundaries of her potential while uplifting and inspiring others to do the same.